Built from recycled, recovered lumber. Contact store for details. 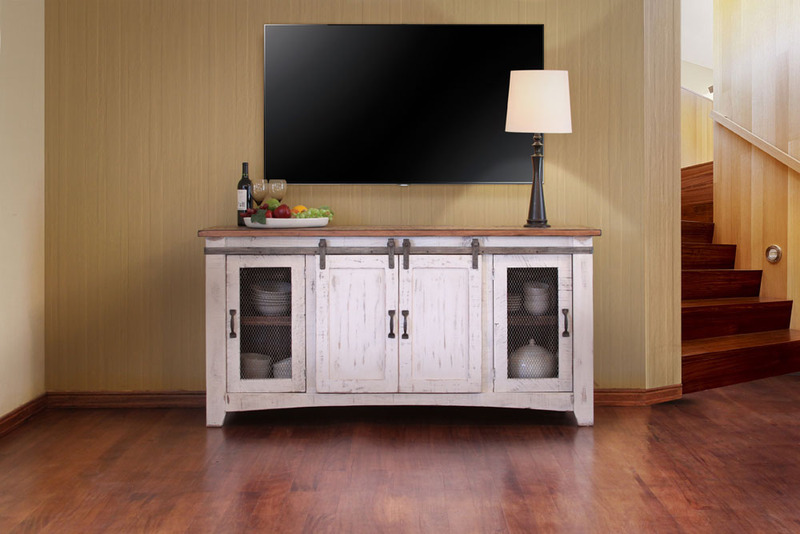 Features: White distressed finish on hand brushed wood, Iron mesh doors with shelf behind, middle sliding doors on metal hardware. Mortise and Tenon construction. Available in 60", 70" and 80" lengths.